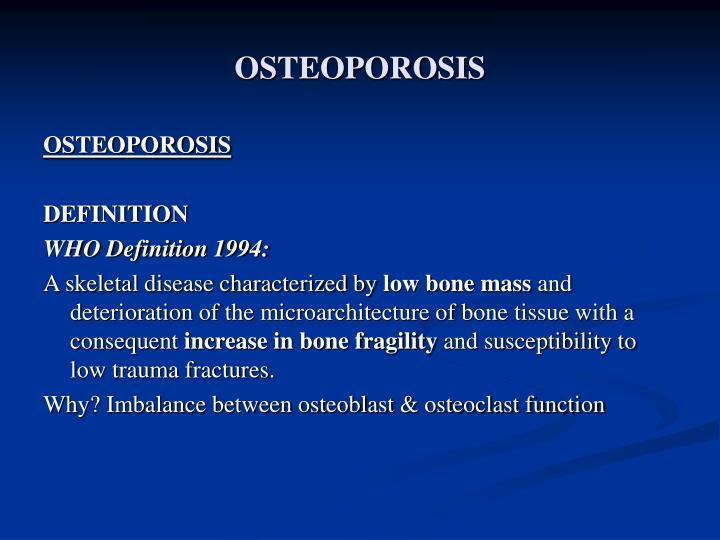 A skeletal disease characterized by low bone mass and deterioration of the microarchitecture of bone tissue with a consequent increase in bone fragility and susceptibility to low trauma fractures. 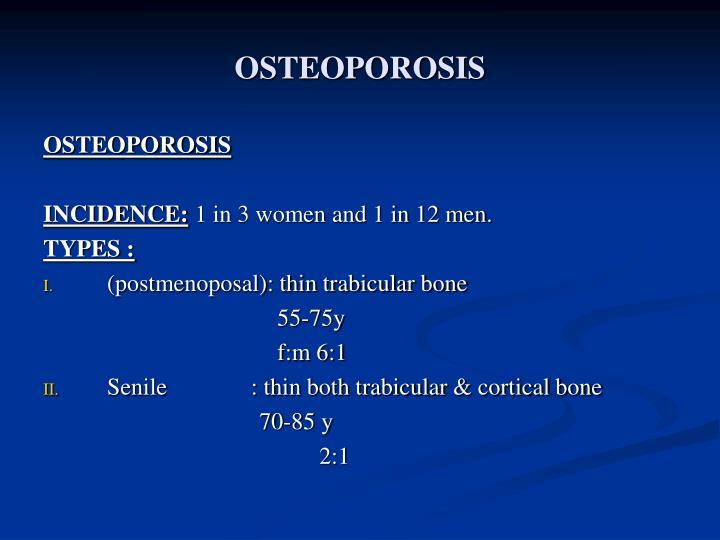 INCIDENCE:1 in 3 women and 1 in 12 men. 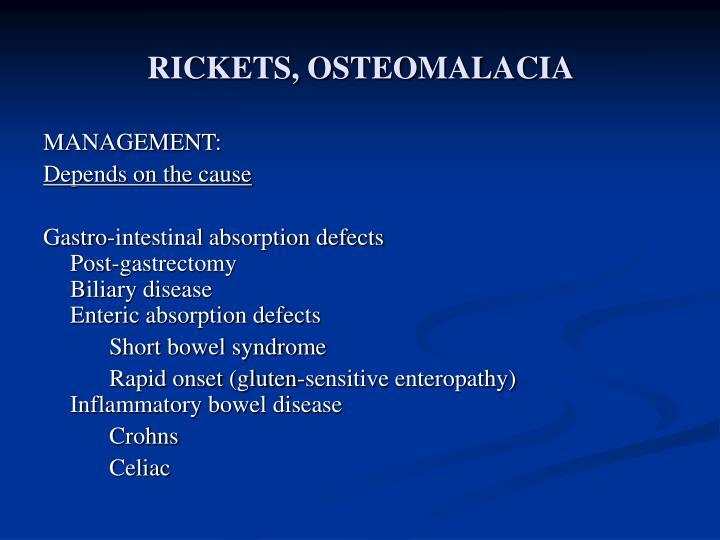 RISK FACTORS + CAUSES :! 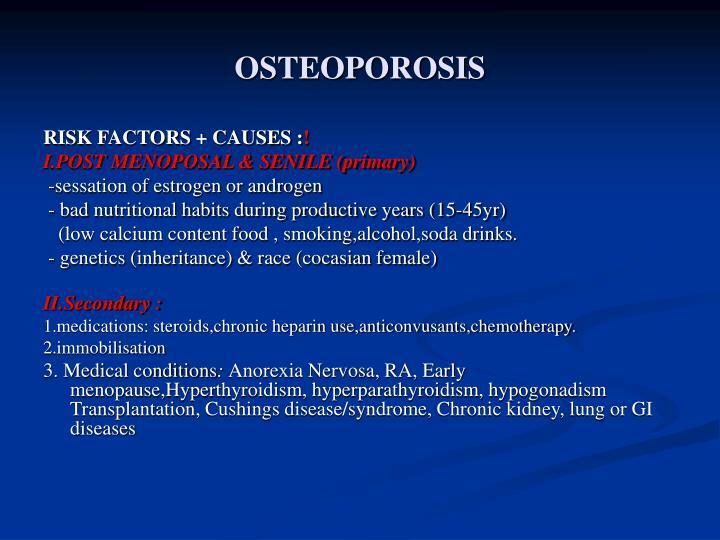 (low calcium content food , smoking,alcohol,soda drinks. 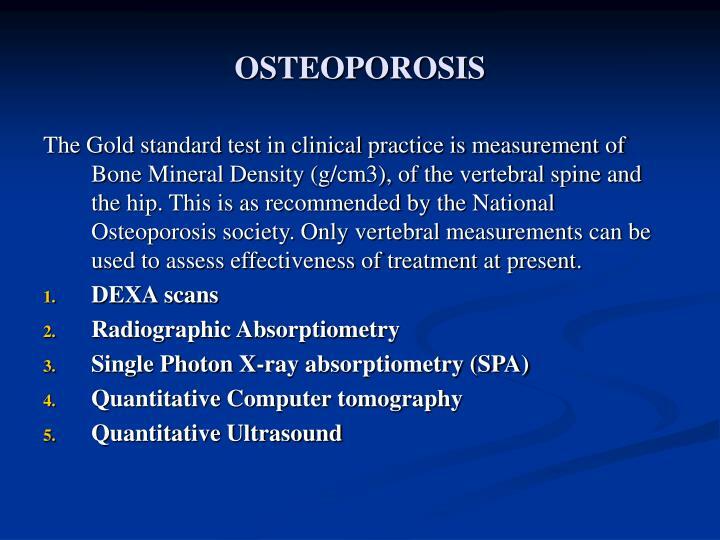 The Gold standard test in clinical practice is measurement of Bone Mineral Density (g/cm3), of the vertebral spine and the hip. 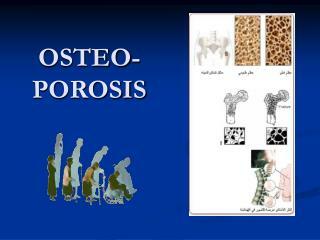 This is as recommended by the National Osteoporosis society. 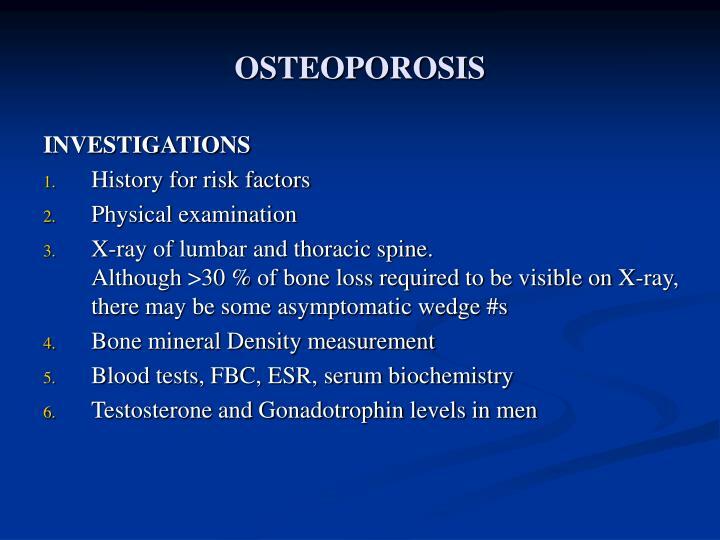 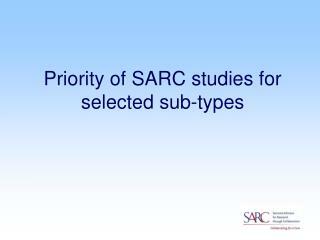 Only vertebral measurements can be used to assess effectiveness of treatment at present. 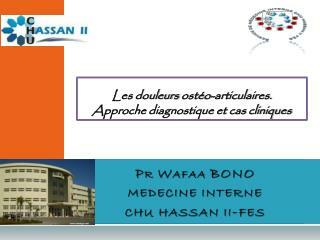 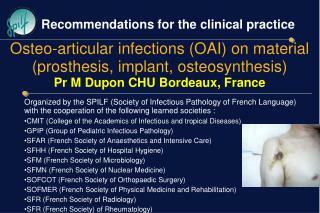 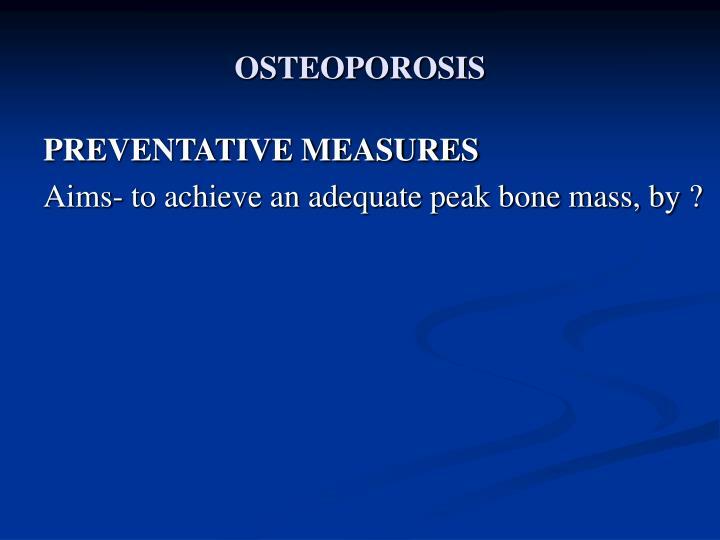 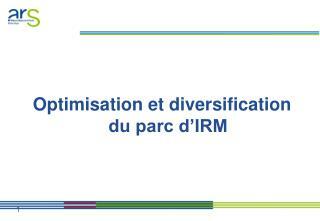 Aims- to achieve an adequate peak bone mass, by ? 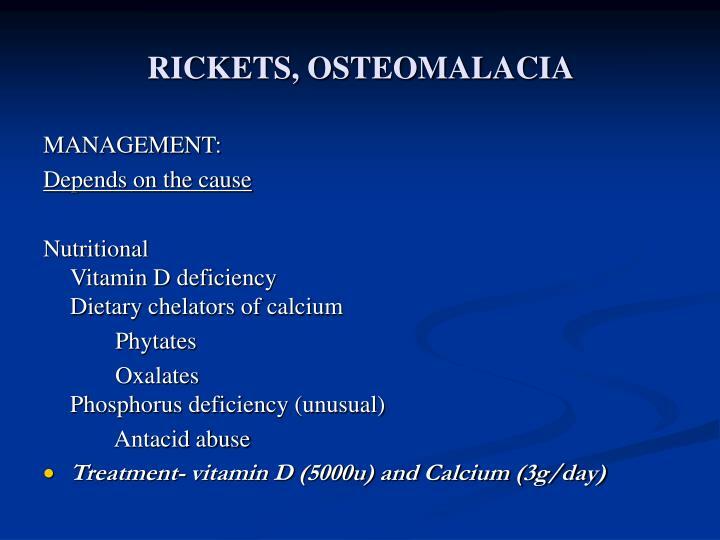 Minimum daily intake of calcium should be achieved. 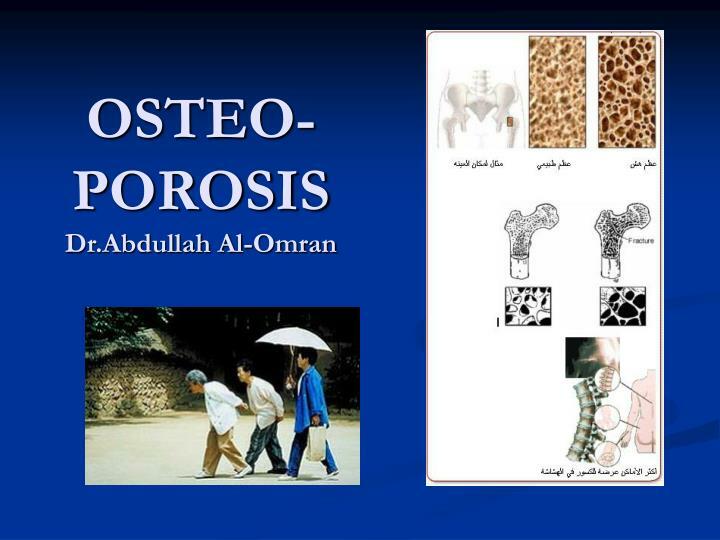 Should only be prescribed if this is not achieved by diet. 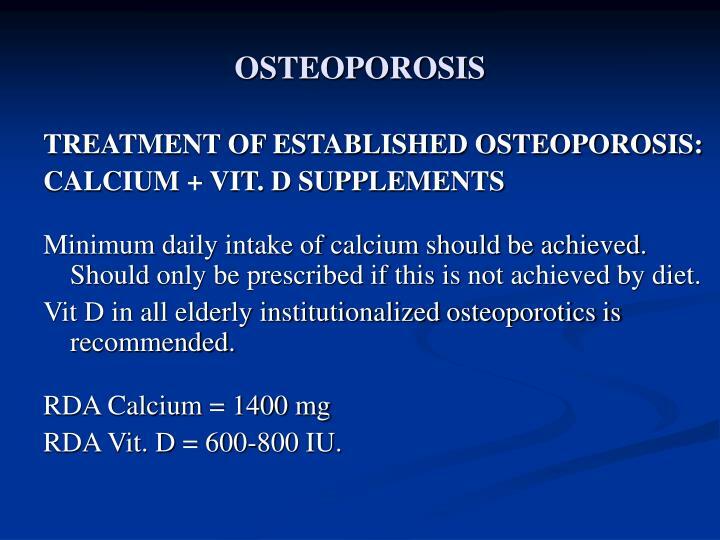 Vit D in all elderly institutionalized osteoporotics is recommended. 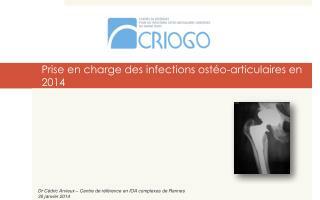 RDA Vit. 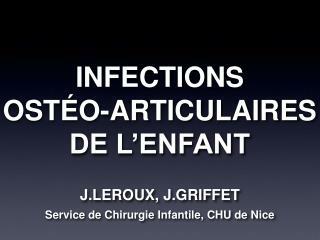 D = 600-800 IU. 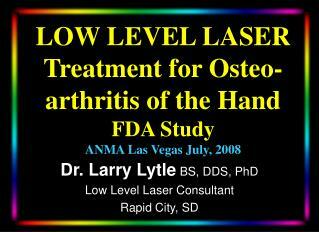 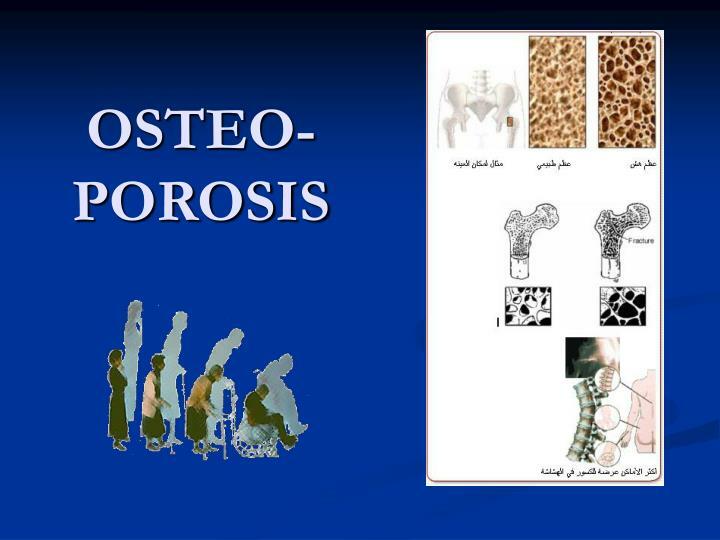 Prevent osteoporosis and slows or reverses progression. 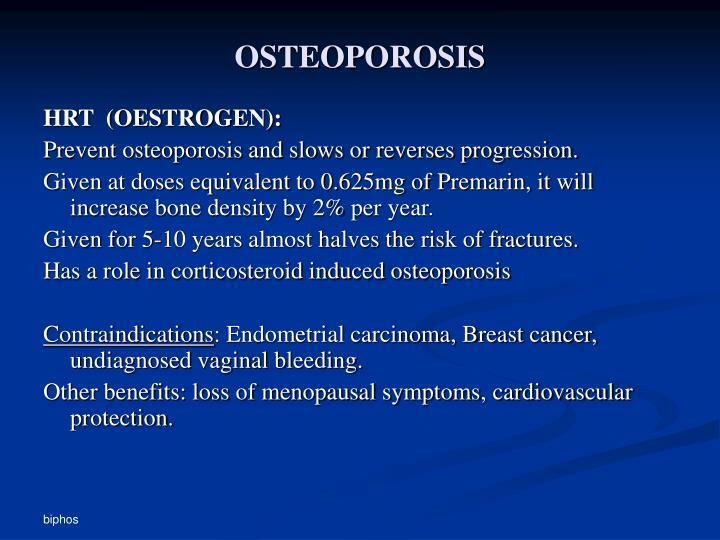 Given at doses equivalent to 0.625mg of Premarin, it will increase bone density by 2% per year. 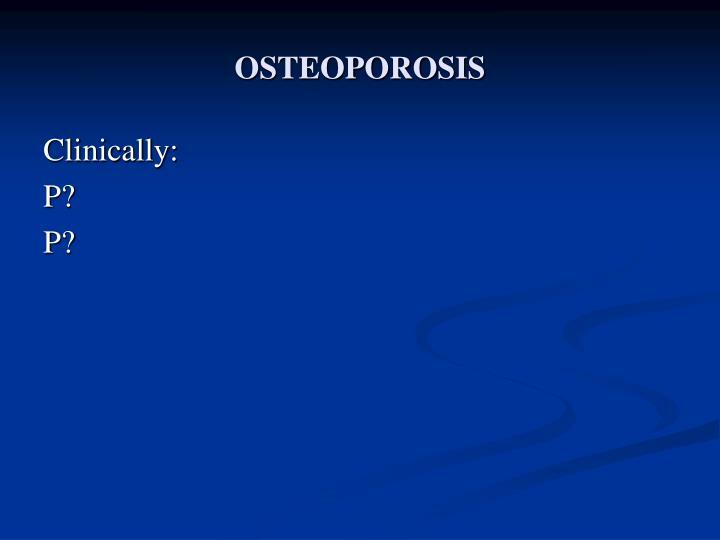 Given for 5-10 years almost halves the risk of fractures. 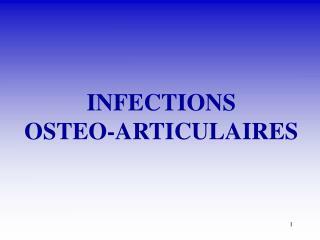 Contraindications: Endometrial carcinoma, Breast cancer, undiagnosed vaginal bleeding. 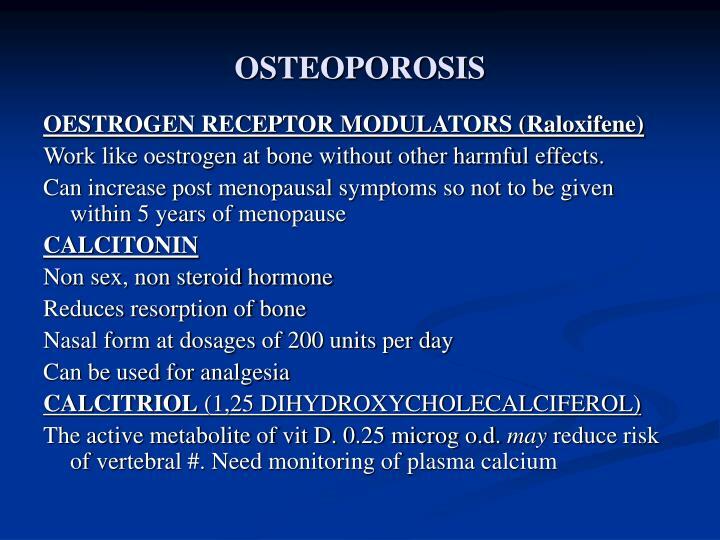 Other benefits: loss of menopausal symptoms, cardiovascular protection. 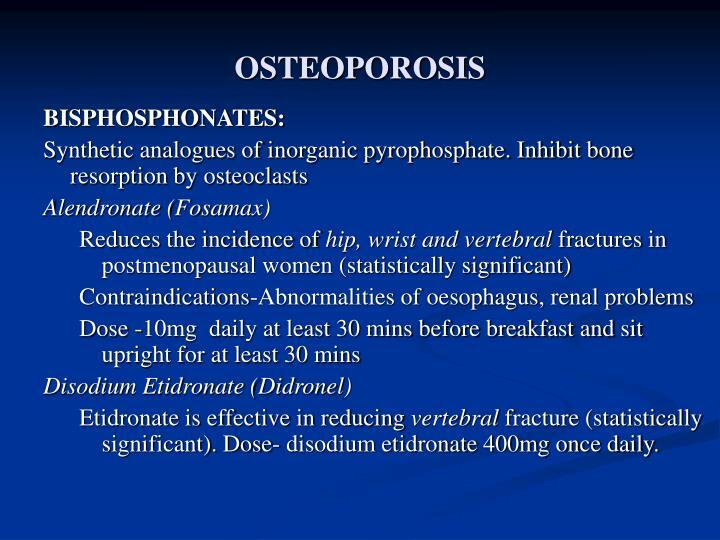 Etidronate is effective in reducing vertebral fracture (statistically significant). 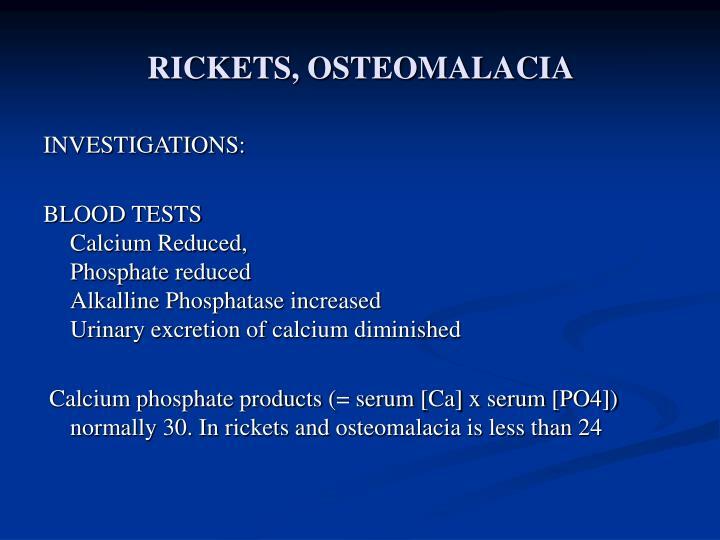 Dose- disodium etidronate 400mg once daily. 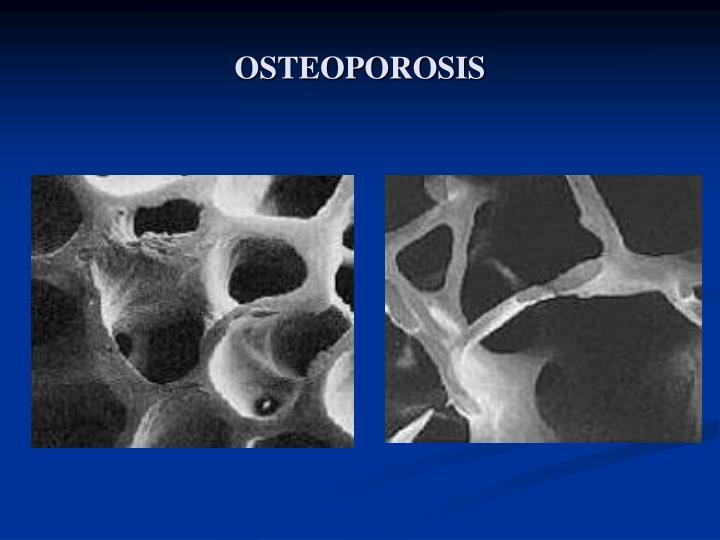 Work like oestrogen at bone without other harmful effects. 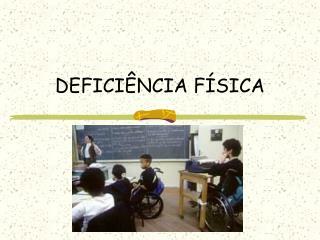 Def. 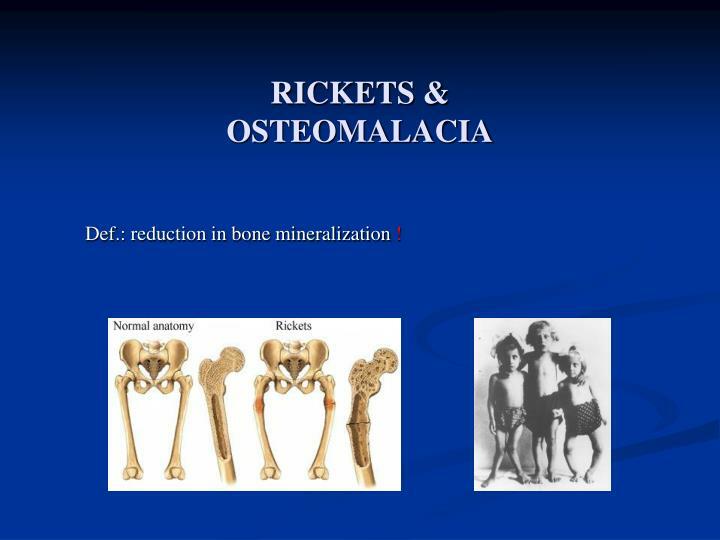 : reduction in bone mineralization ! 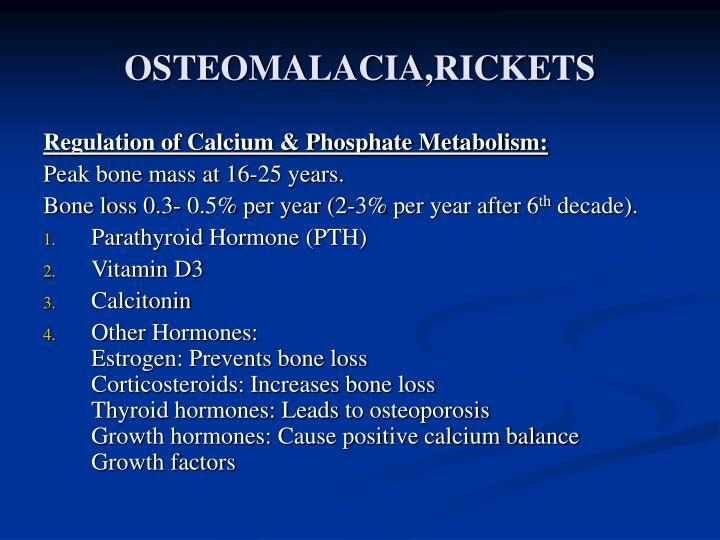 CALCIUM 99% in bone. 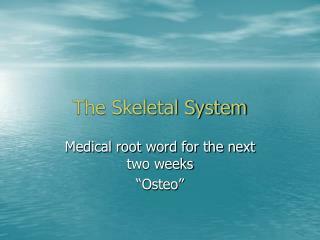 Main functions- muscle /nerve function, clotting. 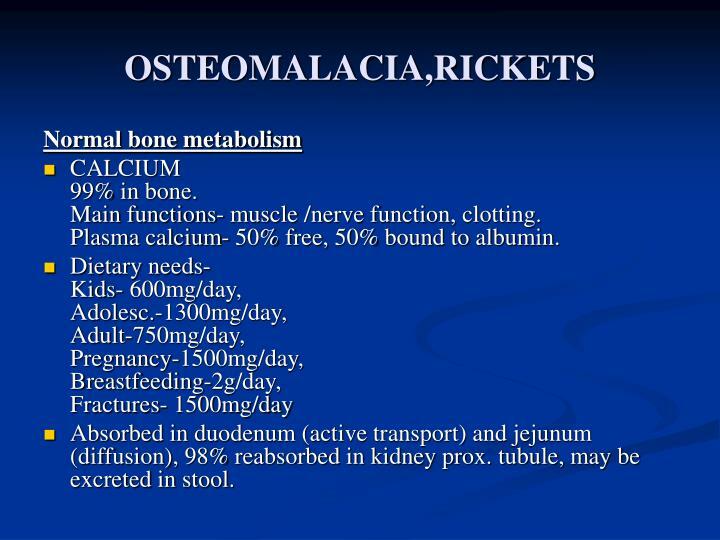 Plasma calcium- 50% free, 50% bound to albumin. 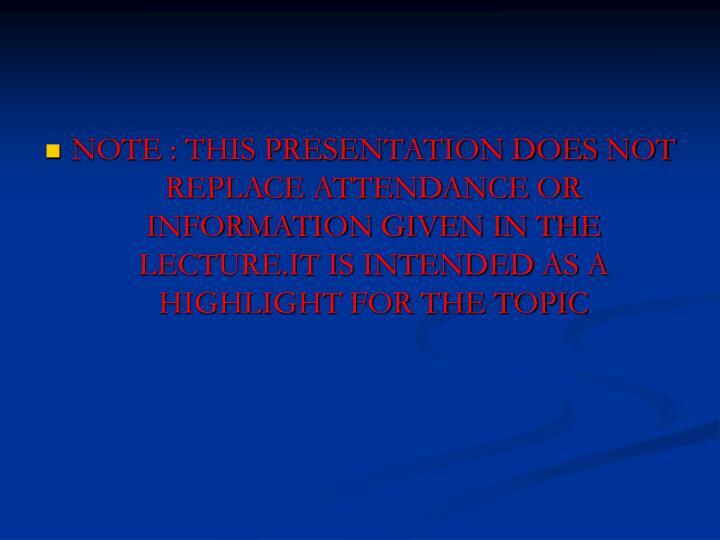 Absorbed in duodenum (active transport) and jejunum (diffusion), 98% reabsorbed in kidney prox. 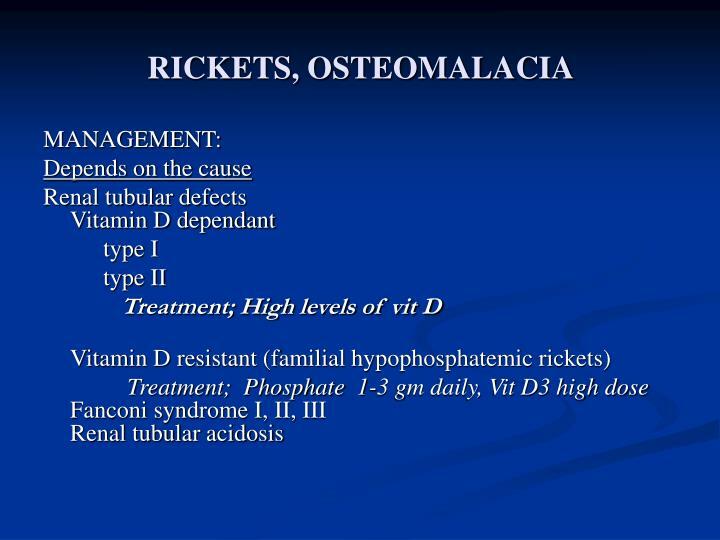 tubule, may be excreted in stool. 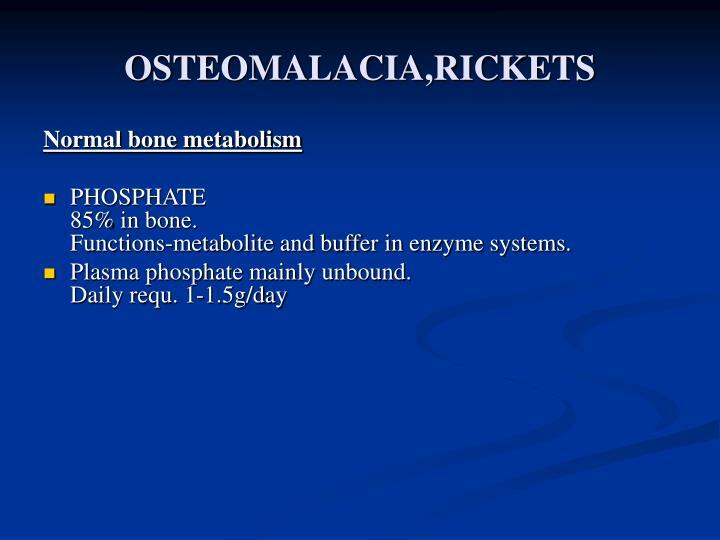 PHOSPHATE 85% in bone. 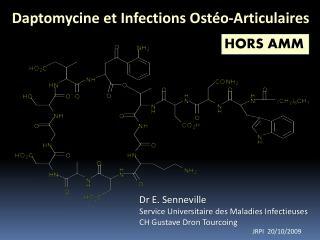 Functions-metabolite and buffer in enzyme systems. 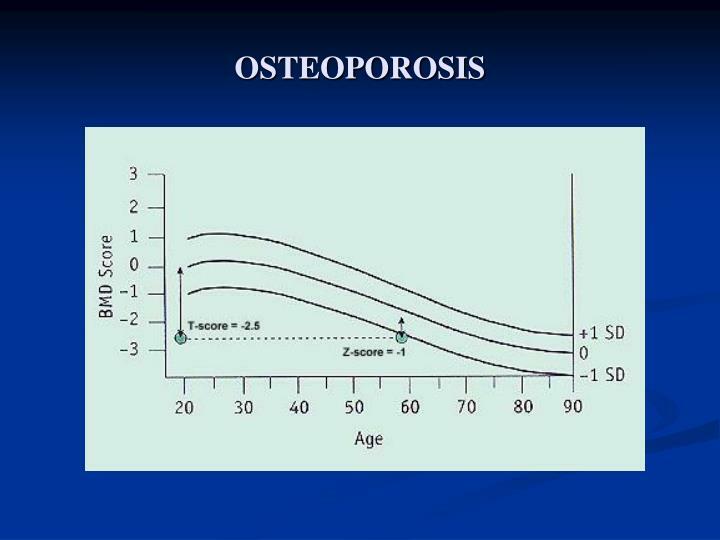 Peak bone mass at 16-25 years. 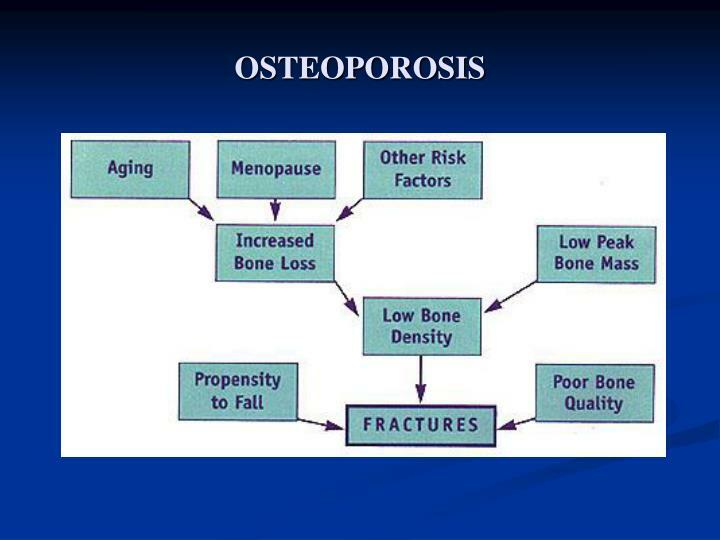 Bone loss 0.3- 0.5% per year (2-3% per year after 6th decade). 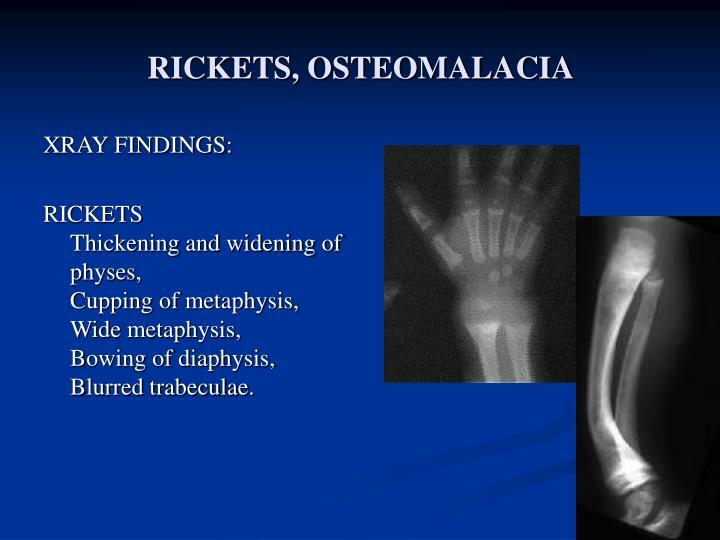 (Rickets is found only in children prior to the closure of the growth plates, while OSTEOMALACIA occurs in persons of any age. 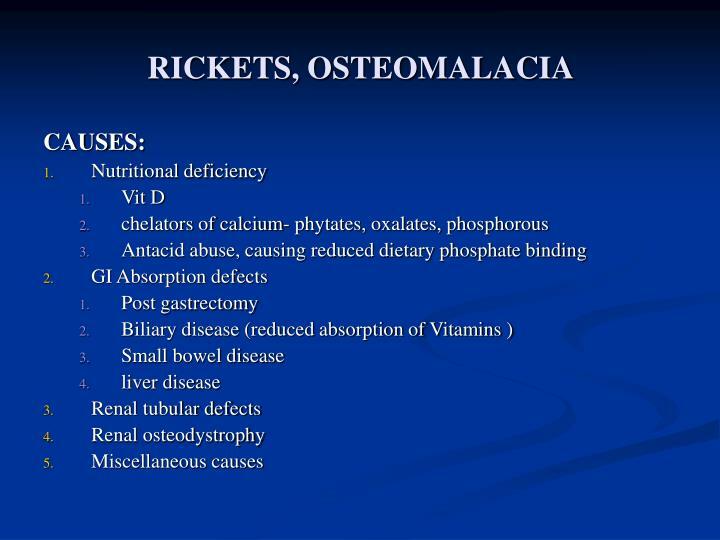 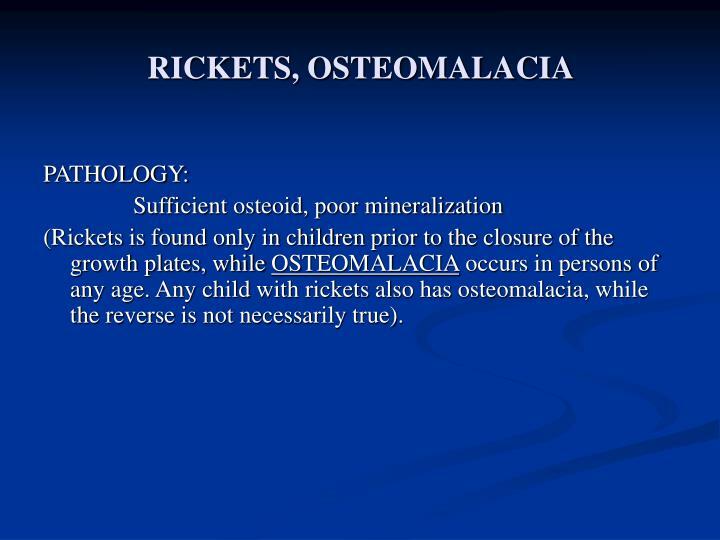 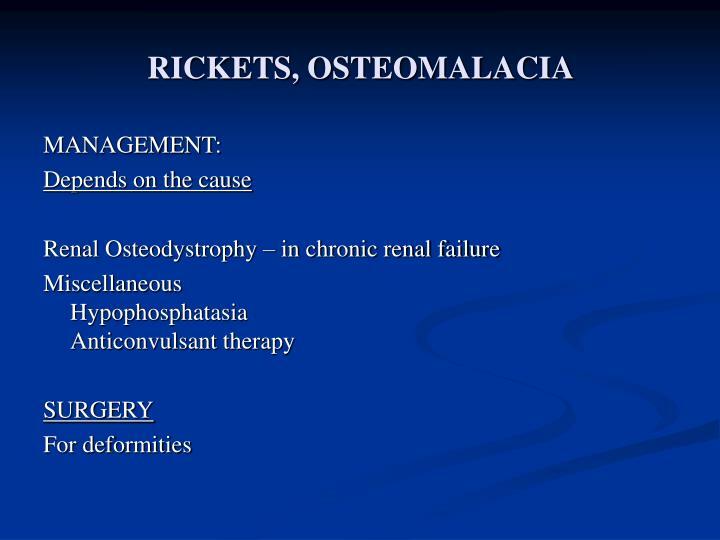 Any child with rickets also has osteomalacia, while the reverse is not necessarily true). 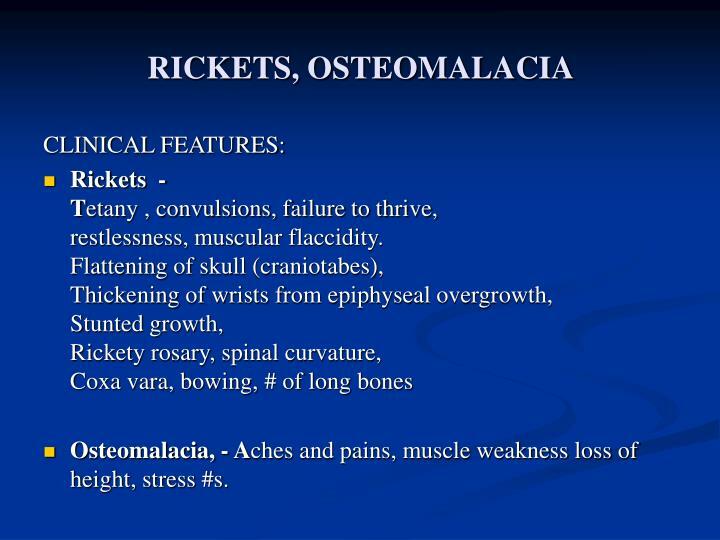 Osteomalacia, - Aches and pains, muscle weakness loss of height, stress #s.
RICKETS Thickening and widening of physes, Cupping of metaphysis, Wide metaphysis, Bowing of diaphysis, Blurred trabeculae. 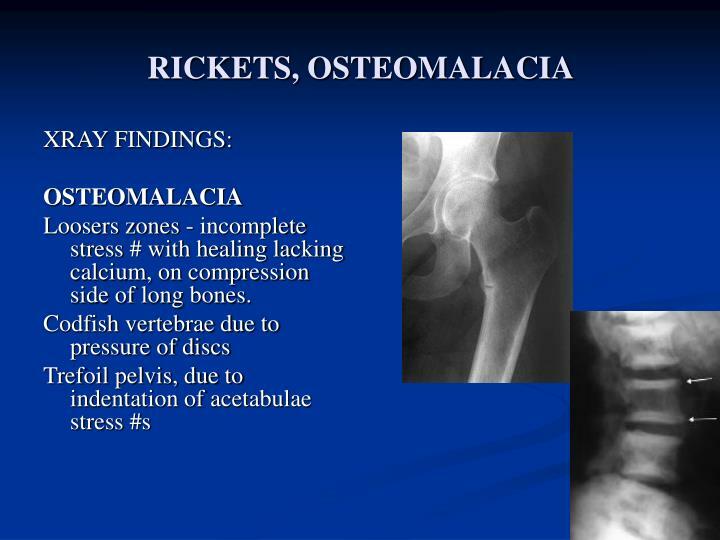 Loosers zones - incomplete stress # with healing lacking calcium, on compression side of long bones. 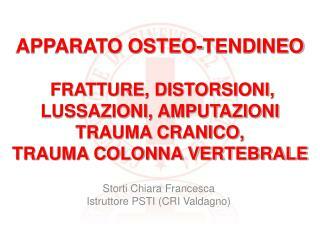 APPARATO OSTEO-TENDINEO FRATTURE, DISTORSIONI, LUSSAZIONI, AMPUTAZIONI TRAUMA CRANICO, TRAUMA COLONNA VERTEBRALE -. 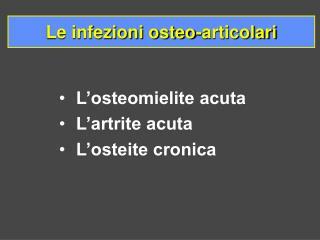 storti chiara francesca istruttore psti (cri valdagno). 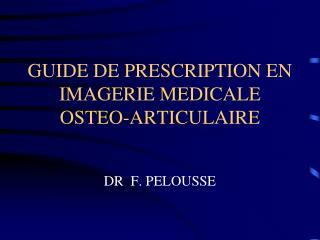 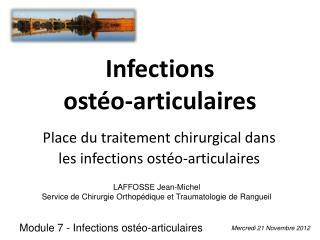 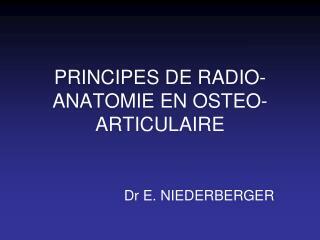 GUIDE DE PRESCRIPTION EN IMAGERIE MEDICALE OSTEO-ARTICULAIRE -. 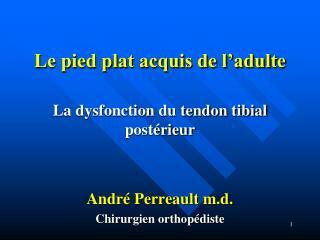 dr f. pelousse. 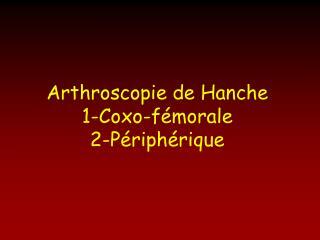 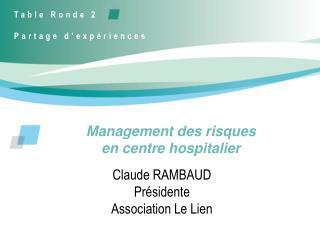 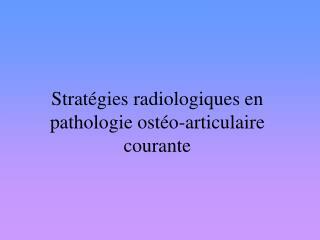 techniques d’imagerie : - radiographie - echographie et doppler - ct-scanner volumique - irm - angiographie, angio-ct/mr - radiologie interventionnelle - pet - ct.